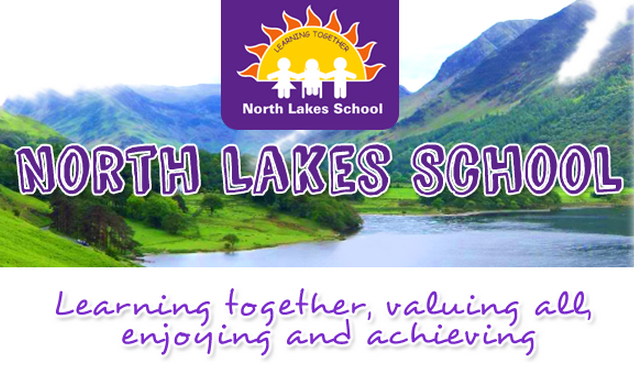 North Lakes School offers child care, provided by school staff before and after the school day. Before school, a Breakfast Club opens at 08:00, with fun activities and a breakfast provided, priced at £2:50. Children enter via the reception entrance. Places must be booked via the form attached below, and available from the school office in hard copy. Bookings and payment must be made one week in advance for planning purposes. Children may attend the Drop Zone from 08:20, which provides activities only, without breakfast, for £1 cash per day. Children enter via the reception entrance. No prior bookings are necessary for the Drop Zone. An After School Club runs daily on site until 17:30 to provide safe, relaxed, fun and quality care for current pupils only. Children are offered a range of activities and refreshments in a friendly, positive setting. The After School Club is priced at £3 per place for the first hour from 15:30, and £3:50 for the second hour from 16:30 which includes food and drinks. Bookings for the After School Club must be made online, and payment made in advance, using the Lunch Shop system. Parents and Carers of children attending the Club are asked to sign the Agreement attached below as part of the After School Mission Statement. We ask that all children are collected promptly from the After School Club at the reception entrance at the pre-arranged collection time – thank you. A range of After School Activities are arranged each half term, priced at £3 from 15:30 to 16:30. Children may attend these instead of the After School Club, and may transfer to the After School Club from 16:30 if required. After School Activities are advertised to parents and carers before the end of the preceding half term, and must be booked with the school office using the forms provided at that time. See the attached documents for more details, and please contact the school if you have any queries.